Spirit of Chrysalis Alive and Well! On Tuesday, May 26, 2015, nearly 300 people woke up a tad earlier to start their day at the 7th Annual Spirit of Chrysalis Gala Breakfast held at the DoubleTree by Hilton West Edmonton. Guests started to filter into the ballroom shortly after 7:00 am and we made sure there was plenty of coffee ready to welcome them! Chrysalis Charitable Foundation board member and our program emcee, Kim Dingler, started the proceedings just after 7:30 am and introduced the Chrysalis Charitable Foundation board chair, Mary Pat Barry to address the crowd. Mary Pat touched on the renewed sense of excitement and optimism within the city of Edmonton and the Province of Alberta with some of the recent events that have taken place and painted a picture of how this optimism and excitement was very much alive at Chrysalis. Her words set a strong tone for the morning program. After a short break for breakfast and conversation, guests then welcomed Chrysalis President and CEO, Lynn Groves Hautmann, to the stage. 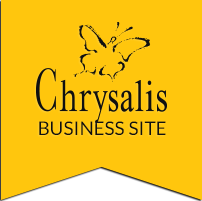 Lynn delivered a stirring speech about the current state of the organization highlighted by many new and innovate directions Chrysalis has undertaken in the recent past. She illustrated the strong ties we have to community and made sure to drive home the point that life is not just about living, but living with purpose and meaning which is what we strive to achieve for all of the individuals accessing Chrysalis supports. Lynn then introduced our newest corporate video which showcased many amazing stories including some of the really strong volunteer and employment partners we have created with local businesses in and around Edmonton. For those who couldn’t join us to see the video, here is our newest version! Once the lights returned, PJ Johnston took her position at the lectern. PJ has been long familiar with Chrysalis but had no idea the impact the organization would have on her life. The once manager of Human Resources at Allwest Commercial Furnishings, a business that hired Chrysalis service individual, Charlie Weinzierl about six years ago, addressed the crowd about the organizations’ ability to change lives. In this case she was talking about her own. PJ was quick to befriend Charlie once he was hired and a deep rooted relationship formed almost immediately. So much so that upon the unfortunate passing of Charlie’s foster mother, PJ stepped up to become Charlie’s legal guardian. Without the connection with Chrysalis, this amazing relationship would never have formed. Both Charlie and PJ were quick to attest that they were more than thankful that their paths crossed at Allwest. PJ then gave way to another parent who nearly had the room in tears. Sandy Enns, mother of Chrysalis individual Meranda Parravano, shared a very emotional story about the excitement that she and her husband were feeling when their first child, Meranda, was born only to quickly learn that Meranda was born with Down Syndrome. After strongly denying the suggestion of giving Meranda up, Sandy spoke about how she became a strong advocate for people with disabilities and a key figure in the development of the Edmonton Down Syndrome Society. She then expressed her gratitude for the role Chrysalis has played in not only supporting Meranda to meet the goals she has set for herself, but acting like extended family for many years. As the program drew to a close, Chrysalis Charitable Foundation board member, Allison Dennis, wrapped up the program by asking everyone in the room to consider lending their support to the work they had just been informed about. By the end of the hour, over $100,000 was raised to support the continued enhancement of the programs and services offered at Chrysalis. No doubt this is a sum that will continue to increase as the weeks pass and we receive even more support online or through pledge forms that will be mailed back to us. Based on numerous conversations with attendees money is not the only thing this event is likely to garner. New volunteers, board members and opportunities for our individuals to find new community supports are all being discussed now that the Gala has ended. We cannot thank our donors, sponsors, star donors, staff and volunteers enough for the support they have pledged to our organization! Thank you to all who attended the event. Just being there to hear our story will help make a difference in the lives of the individuals with disabilities whom we serve at Chrysalis. PreviousPrevious post:A Work of Art!NextNext post:5th Annual Chrysalis Calgary Art Show and Sale – Don’t Miss It!